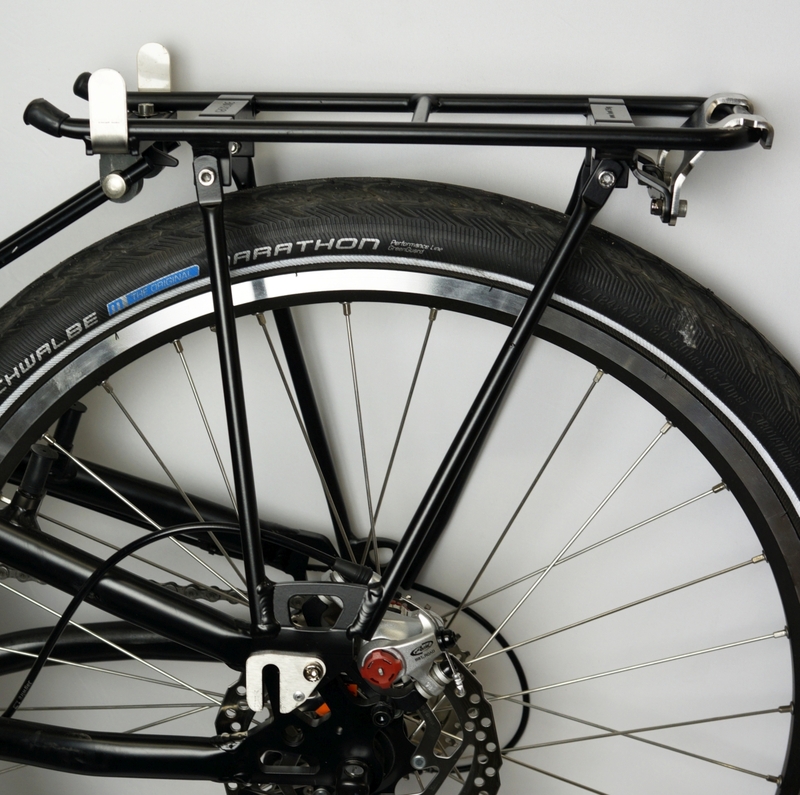 The new ‘Joey Rack’ is designed for the commuting cyclist, but works equally well for loaded bike tourists or day riders, or in any situation where panniers are going to be used. 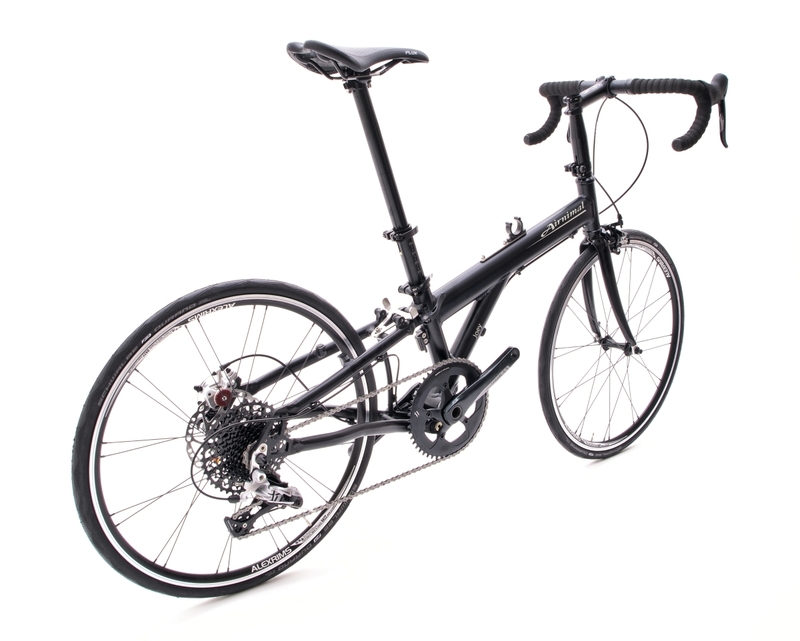 The rack incorporates the front wheel holder of the Commute kit into the rack and, additionally, features stainless ‘bash guards’, which are designed to increase stability when the bike is standing on the rack, and to protect the rack from abrasion. It is available as a complete rack or can be retro-fitted to the Tubus/Racktime 24″ fold-it rack that we recommend and fit to the Joey. The rack or retro-fit are also disc compatible. 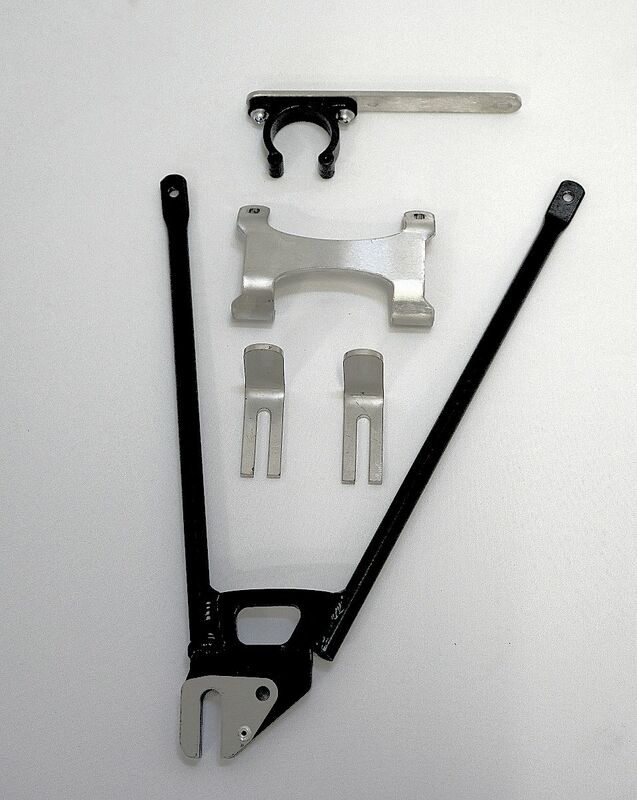 Prices:- £85 for the complete rack including handlebar clip / £59.99 for the retro-fit kit including handlebar clip.